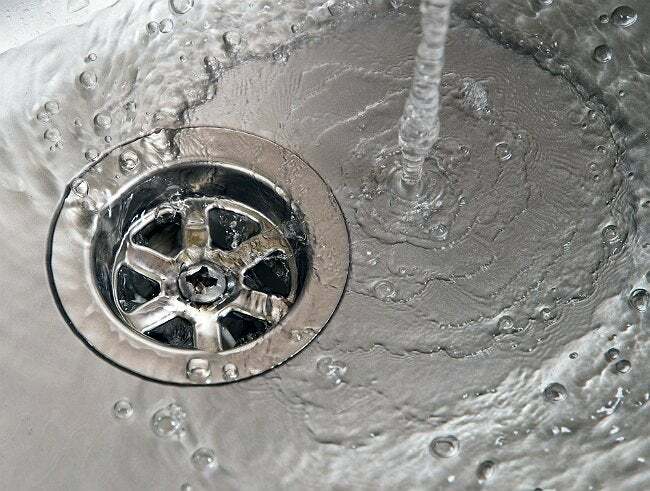 The kitchen sink drain may be slow, but these clever tips can help you repair it, and fast. Chances are that, somewhere along the line, you’ve had to deal with a clog in your kitchen drain. Even if you make a point of not pouring grease down the drain, it can still build up over time and create a mess. Before going nuclear with that toxic chemical drain cleaner, why not try a one or two eco-friendly solutions? First, focus on the plumbing under the sink—specifically, the P-trap. Use a hair dryer to heat the drain pipe at the point where it forms an obvious curve. Heating the pipe may help to melt any grease that’s accumulated there. Next, flush the pipe with hot water. The sink is already backed up? Use a cooking pot to bail out the water, then pour a cup of baking soda into the drain, followed by a cup of vinegar. Let that concoction bubble for a half hour or so, then flush out the pipes with hot water. In the future, to prevent grease from piling up again, dump a quarter cup of baking soda in the drain every couple of weeks. The bubbles will not only help keep your drain clear, but they’ll neutralize any odors the drain might otherwise emit.